As a teacher of English to international students I am lucky enough to meet people from many different countries and cultures. My students at the moment are largely from Vietnam, India, Thailand and China. They all know that I am interested in food so we often discuss their different cuisines in class. Sometimes they bring the other students and I food to sample so when my ex student Jingjing decided to do her presentation on authentic spicy crab and dumplings (and promised to bring samples) we knew we were in for something special. We were not disappointed. 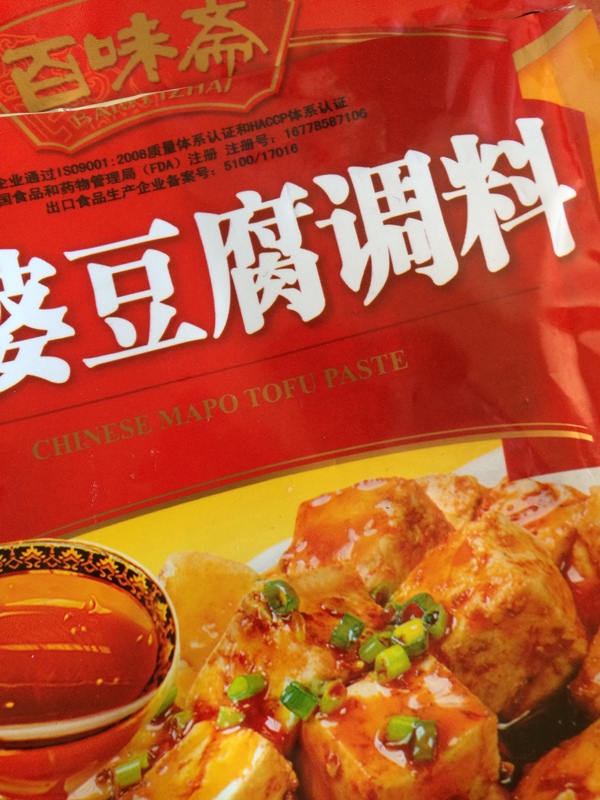 Following an excellent and informative presentation, Jingjing unpacked hot spicy crab and pork dumplings. A fellow student was sent to the Chinese restaurant around the corner for some rice and that was my lunch for the day sorted. A couple of months later, when Jingjing had begun studying at university and was no longer my student, she was good enough to come around to my house to cook a delicious and generous meal for my friends and family and, in the process, allow me to observe her cooking techniques in the kitchen. She arrived on the day accompanied by a couple of friends and a number of large bags containing seafood, vegetables, tofu, sauces and noodles. Within ten minutes she had taken command of my kitchen and was chopping away while her friend rinsed crabs in the sink. Another friend was soaking wood ear mushrooms and goji berries. In rapid succession (Chinese cooking is fast) Jingjing presented us with spicy crab, glass noodles with prawns and baby octopus, Shanghai chicken wings, wok tossed spicy cabbage, wood ear mushrooms and Ma Po tofu. We hurried to keep up with notes and utensils but were soon admonished to sit down and eat by the cook who did not want her food to go cold. We all ate way too much but fortunately, due to the more than generous servings, there was still plenty left when Jingjing finally sat down to join us. Thanks to Jingjing and her friends for a great evening and a fantastic meal. 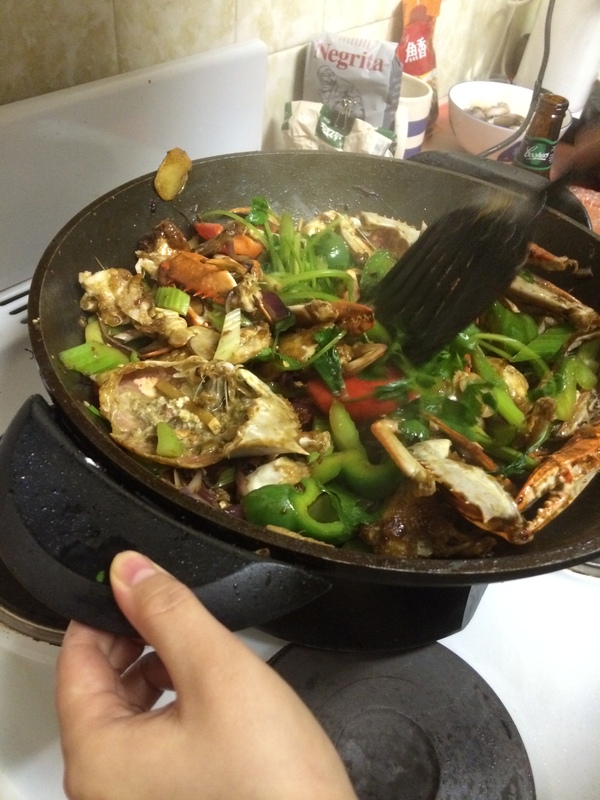 Here’s the recipe for Jingjing’s spicy crab. Coat crab bodies and legs in potato flour. Heat 1/2 cup peanut oil in a wok until sizzling. 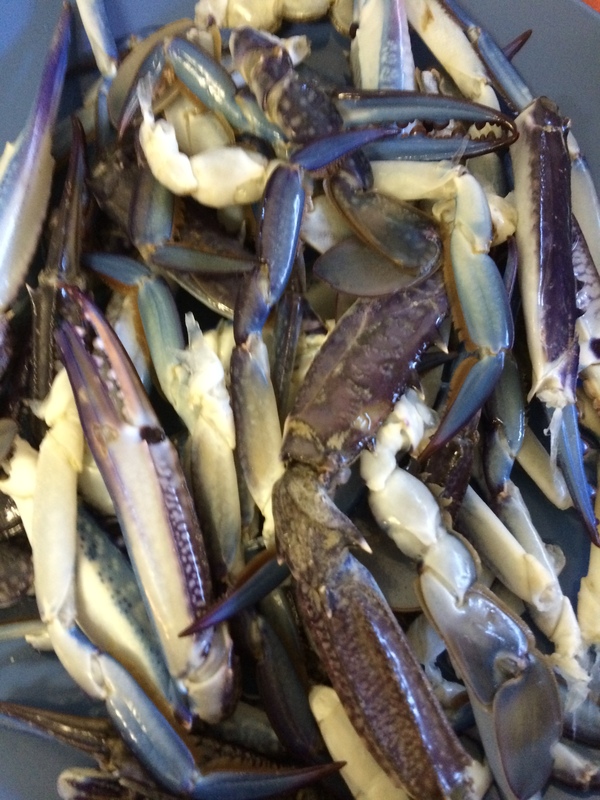 Fry crab in batches until golden. Remove and set aside. 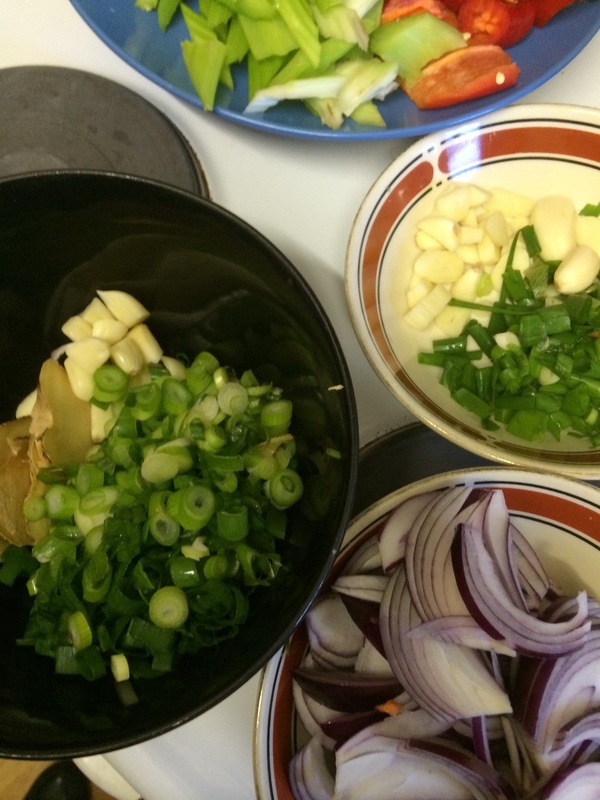 Then add the red onion, ginger and dried chillies, stir fry for a minute. Return the crab to the wok and add the remaining chopped vegetables and garlic. Stir fry for a minute or two. Add chilli sauce, soy sauces and oyster sauce. Toss well to coat. Cook for a further two minutes adding a little boiling water if it becomes too dry. Add one bunch coriander (chopped) and serve immediately.